James with his Practical Driving Test Pass Certificate somewhere in Brent Knoll. Many congratulations to James Havercroft from Brent Knoll who passed his Practical Driving Test with 9 minors on Tuesday 31st October 2017 at Weston-Super-Mare driving test centre. All the best from your Driving Instructor Andy Muir and all the team at Starfish Driving. Great drive. Josh with his Practical Driving Test Pass Certificate. Many congratulations to Josh McClean from Brent Knoll who passed his Practical Driving Test first time with just 2 minors on Monday 5th September 2016 at Weston-Super-Mare driving test centre. All the best from your Driving Instructor Andy Skyrme and all the team at Starfish Driving. Great drive. Many congratulations to Scott Havercroft from Brent Knoll who passed his Practical Driving Test first time with 6 minors on Wednesday 1st June 2016 at Weston-Super-Mare driving test centre. All the best from your Driving Instructor Andy Skyrme and all the team at Starfish Driving. Well done on a good drive. 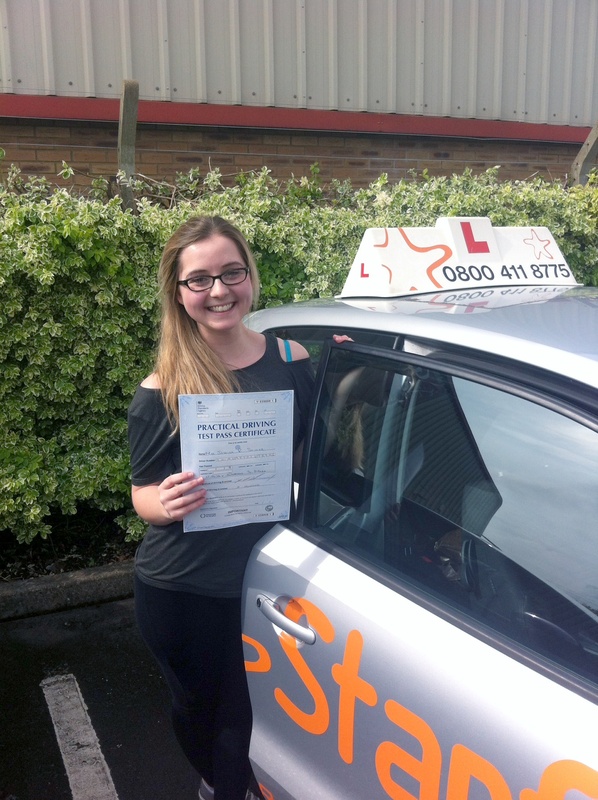 Grace with her Practical Driving Test Pass Certificate outside Weston-super-Mare Driving Test Centre. Many congratulations to Grace Efford from Brent Knoll who passed her Practical Driving Test first time with just 3 minors on Friday 19th February 2016 at Weston-Super-Mare driving test centre. All the best from your Driving Instructor Andy Skyrme and all the team at Starfish Driving. Great drive. Sam with his Practical Driving Test Pass Certificate somewhere in Brent Knoll. 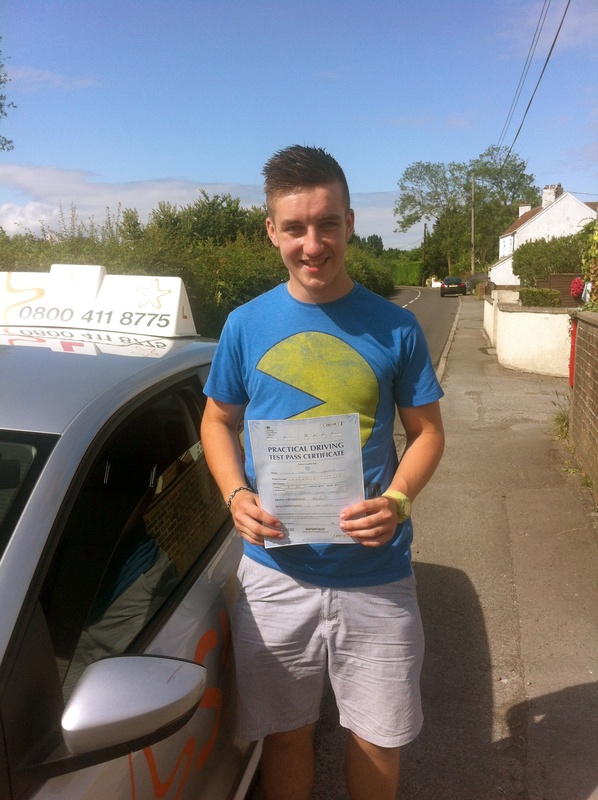 Many congratulations to Sam Walters from Brent Knoll who passed his Practical Driving Test first time with just 2 minors on Tuesday 15th July 2014 at Weston-Super-Mare driving test centre. All the best from your Driving Instructor Andy Skyrme and all the team at Starfish Driving. Great drive. Now on with Pass Plus ad Motorway training? Many congratulations to Jessica Shiner from Brent Knoll who passed her Practical Driving Test just 3 minors on Tuesday 22nd April 2013 at Weston-Super-Mare driving test centre. All the best from your Driving Instructor Andy Skyrme and all the team at Starfish Driving. Great drive. Now on with Pass Plus?